The term “bait apps” refers to children’s games that are available as free downloads in the iTunes Store and allow players to buy virtual goods as in-app purchases such as coins, fish, prizes etc. Previously, when iOS users entered their iTunes password for downloading an app, a 15-minute window from that time was provided to download another app or for an in-app purchase without having to re-enter the password. 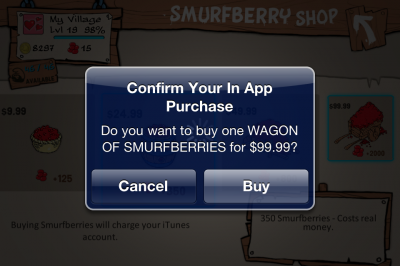 As a result, kids were able to buy in-app stuff worth hundreds of dollars on their parents’ iTunes accounts. Contrary to Apple’s argument, Plaintiffs have alleged with specificity which misrepresentations they were exposed to, their reliance on those misrepresentations, and the resulting harm. Plaintiffs pled specific facts that Apple “actively advertis[ed], market[ed] and promot[ed] its bait Apps as ‘free’ or nominal . The judge’s refusal to dismiss the case does not mean the parents will win, but it does increase the pressure on Apple. Apple is expected to file its defense on May 24. Check out this video interview by comedian Jon Stewart of a man whose kids also racked up huge credit bills in the game Tap Fish in hopes of keeping their pets alive here. 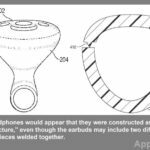 Apple Looking To Replace Its Stock Earphones With Unibody Earbuds?